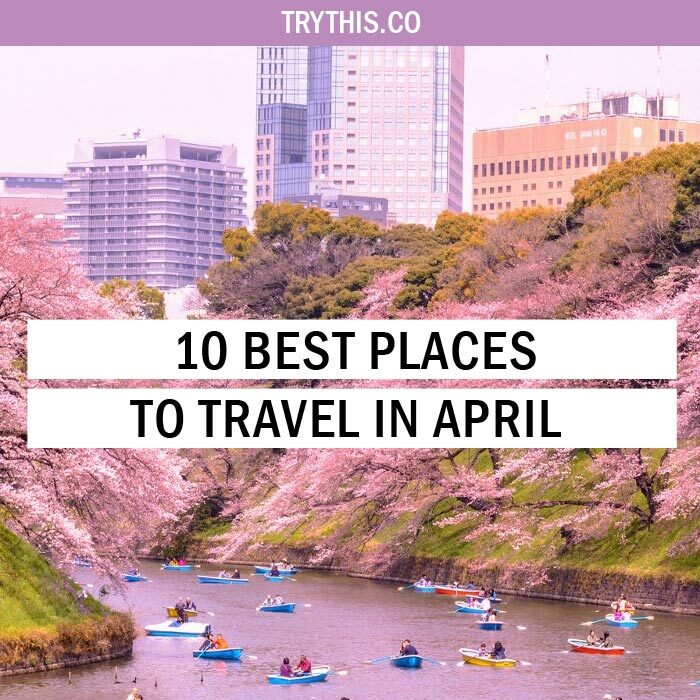 10 Best Places to Travel in April - Travel Tips - TryThis! At the very mention of the word ‘holiday’, the first thing that prompts our minds is the first holiday season of the year, the spring break at the month of April. 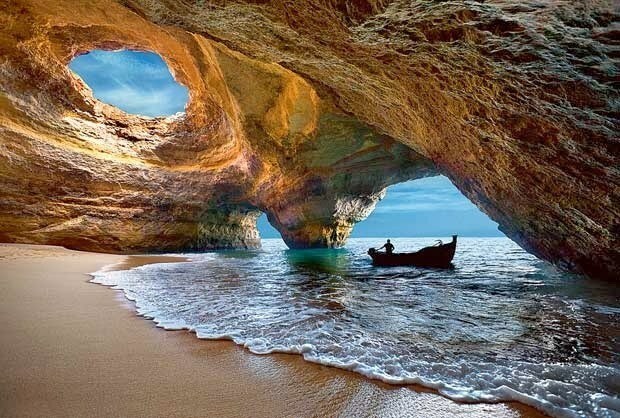 With so many spring break destinations at hand planning a trip can be tricky during the April holidays. The month is a bit too warm with the dry seasons on a roll and the surroundings look a little bit fresher as the skies have opened up, trees look bright green, and with the singing birds. Whilst some relax with friends and spend time with their near and dear ones, others around the world try out new and exciting things by exploring new places. Whether one wants to laze around on a beach somewhere or take a stroll among the cherry blossoms, there are alternatives to suit every taste. 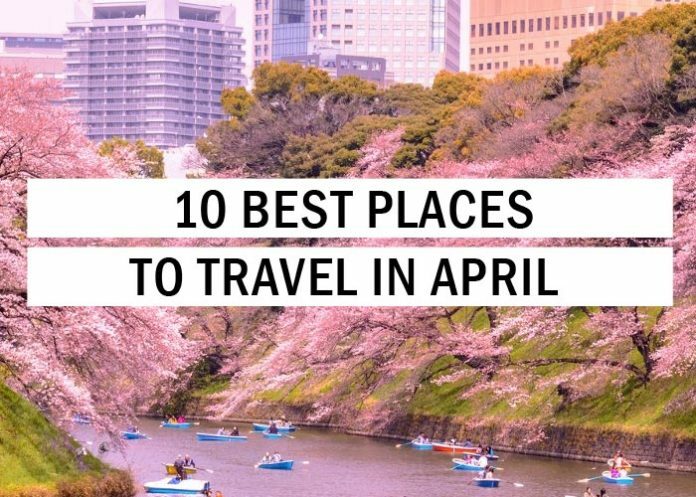 Either way, no matter the travel preferences here are some of the best places to travel in April around the world. 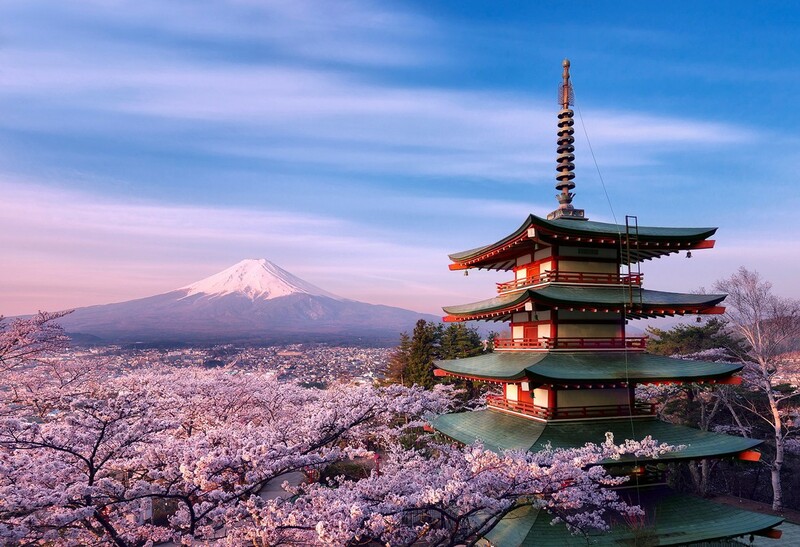 A trip to Japan during the April holidays can amount to as one of the best experiences in one’s life, an experience not easy to forget for a long long time! 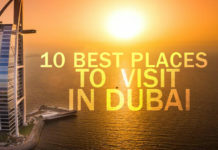 The country is ideal for people to visit if one is curious about other cultures and wants to experience some bucket-list panoramas. Something special about visiting the place in April holidays is the Hanami Cherry Blossom Festivals when thousands of trees become filled with pretty pink and white flowers. The Cherry Blossom Season in Japan decks the whole country up beautifully, as almost in a frame right out of from Alice in Wonderland. This experience of catching the first bloom of the cherry blossoms is supposed to tug at one’s heartstrings for a lifetime. As one of the best places to travel in April, the place is an exciting mishmash of modernity and tradition. 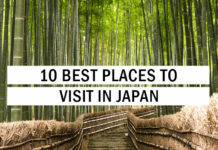 Japan offers so much to its visitors – from the neon lights and chaos of the capital, to the serenity and zen of Kyoto’s many shrines and temples, the high-speed bullet trains, sumptuous panoramas, exploring the historic bylanes of Kyoto, bustling marketplaces, checking out the views of Mt. Fuji, and digging into Japanese favourites like sushi and sake as well. Certain parts of the country, particularly Hiroshima, hold sad but important historical significance and a trip to its Peace Park is vital. 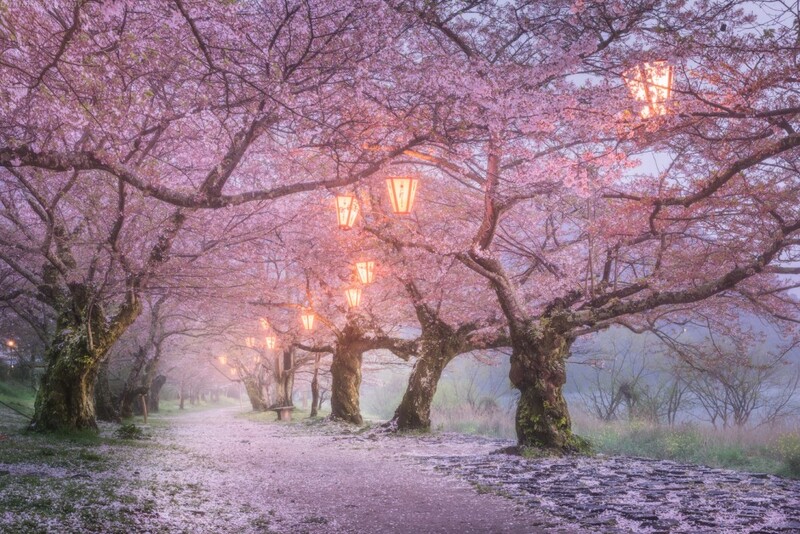 Add to this entire experience, the by-lanes and gardens are full of powder-pink sakura petals and it becomes hard to argue with the prospect of planning a trip to Japan during cherry blossom season. 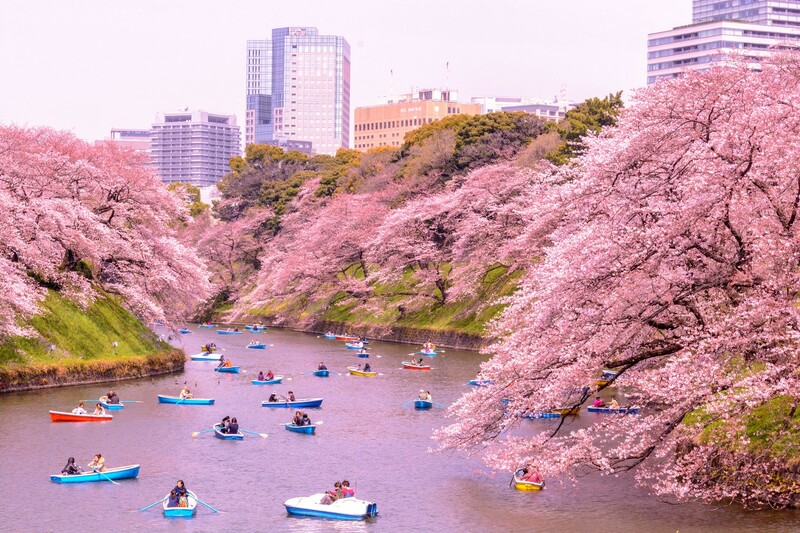 The fresh bloom of the cherry blossoms takes place in April thus making the place as one of the best places to travel in April. Seychelles is the place is for the beach bums with their undying love for the sun and the waves. The place makes ups as the perfect beach getaway during the April holidays. 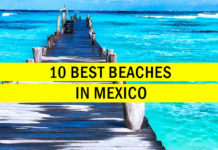 The place remains warm and sunny during this time of the year, making itself as one of the best places to travel in April to laze around on the beaches. 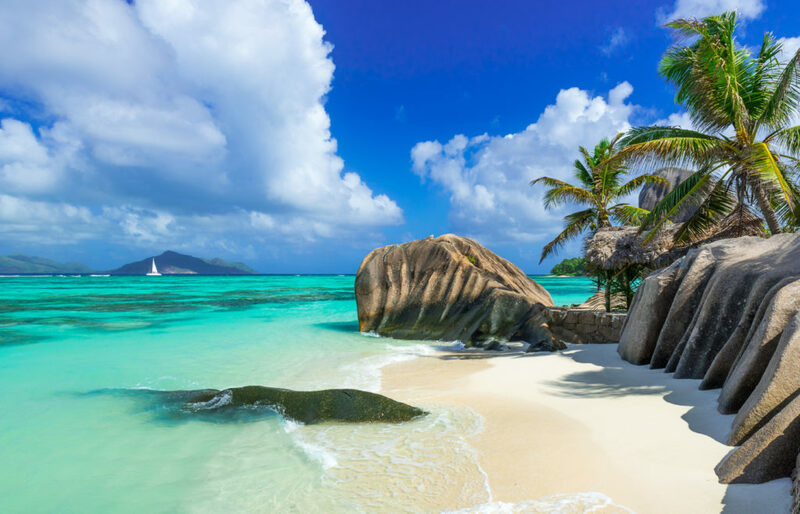 Seychelles is an archipelago of 115 idyllic islands nestled in azure waters but it is not just the otherworldly beaches, luxury resorts, or alluring palms that make the place special! Every island of the archipelago has something different to offer to its guests. What makes Seychelles special are the sensory experiences that are unleashed on guests the moment one steps foot on the islands – white powdery sand tickles the toes persuading to stay a little while longer, the creaminess of a coconut curry seduces the palette, Seychellois sunsets work hard to give one goosebump, and the sweltering heat seems to be there just to provide one with an excuse to take a dip in temperate waters that make the heart sing. 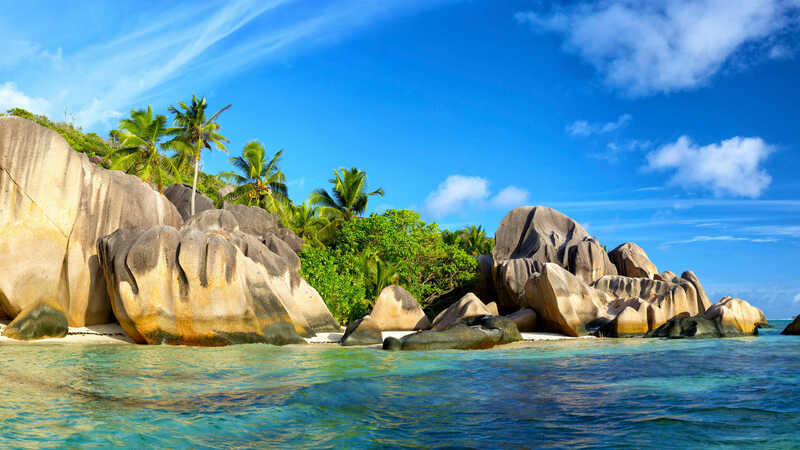 So many sensations in one short evening – that’s how Seychelles makes its guests fall in love with itself! This holiday destination makes up as one of the perfect and best places to travel in April as it is an ideal beach getaway like no other. The Lake District in the northwest corner of England, in the country of Cumbria, is popularly known as the birthplace of Peter Rabbit, the Easter bunny. He may not be a big fluffy pink bunny carrying a basket of Easter eggs but the magical nature of the Lake District is enough to capture every imagination. This wonderful city is perfect for an Easter vacation or April holidays as it has tons to do. There is a wide range of activities and things to do in the Lake District, like cycling around the area or taking a kayaking trip out on the lake or just relaxing with the feet up. The place makes up as one of the perfect and best places to travel in April as it is perfect for spending the Easter holidays. The main attractions of the place are Lake District National Park, Lake Windermere, Castlerigg Stone Circle, Coniston Water, Derwentwater, Catbells High Ridge, Hill Top, Rydal Mount & Gardens, Dove Cottage and so much more. 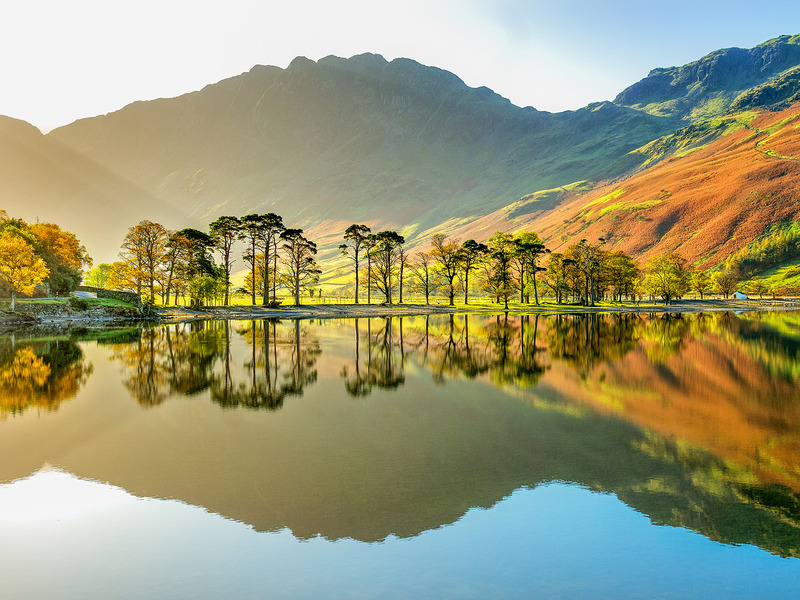 The Lakes District with its falls, moors, and lush green valleys provided inspiration for writers, including William Wordsworth, John Ruskin, and Beatrix Potter, thus making it as one of the best places to travel in April. 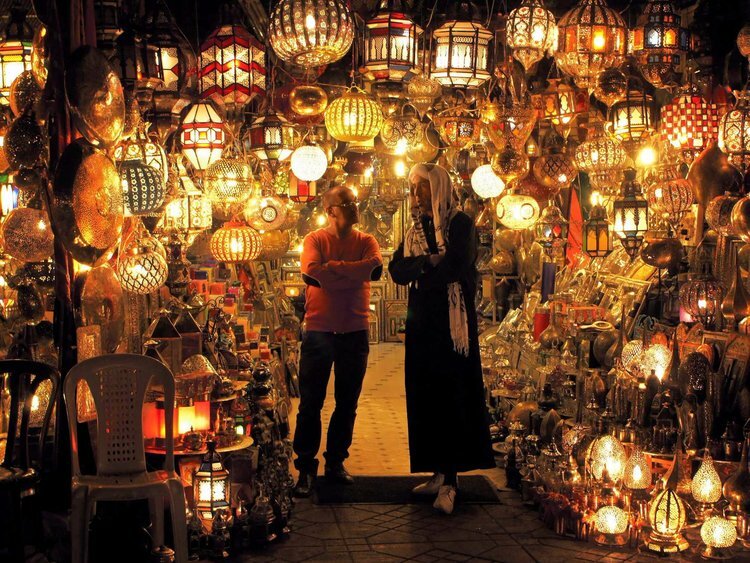 It is about time to put Marrakech on the list of the best places to travel in April. 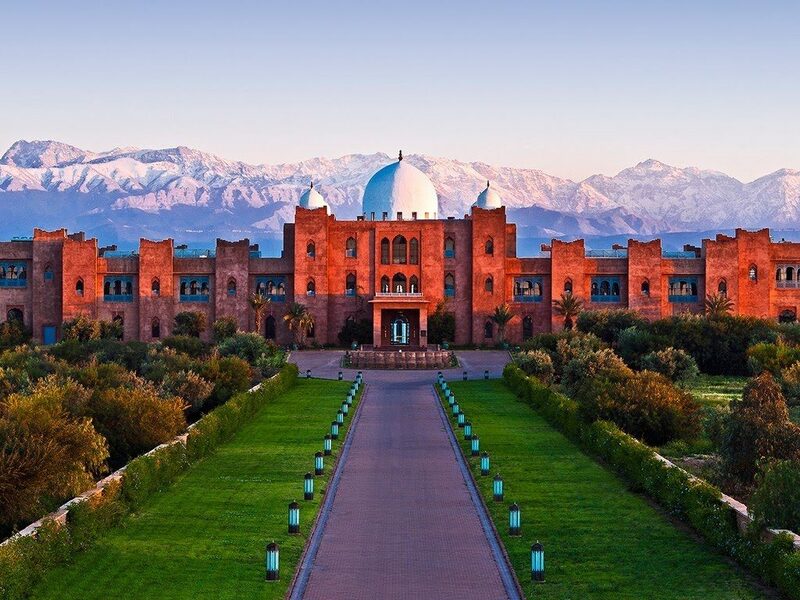 This North African spot is best traveled to in April, when the summer climate has made its way to the south, into the mountains, and to both Morocco’s Mediterranean and Atlantic coasts. 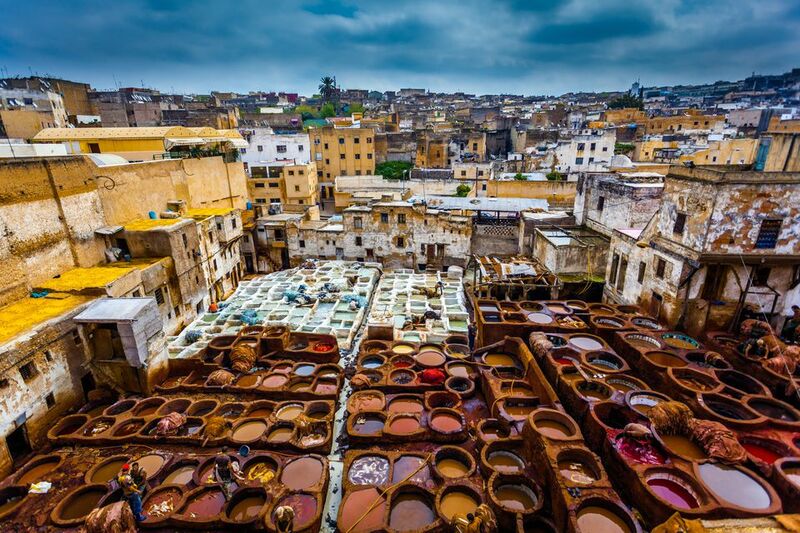 Marrakech offers so much to its visitors – from the old city walls to riads, crumbling palaces, the maze-like medina of Fes, noisy souks piled high with leather goods, skilled artisans, and potent smelling tanneries. Be made to feel miniature as one stands at the titanium doors of the Hassan II mosque in Casablanca. Wandering the blue-washed streets of Chefchaouen and marveling at the panoramas as one looks down on it from a nearby viewpoint. The ambiance of the place lends it a distinct character, different from most African and European capitals. Moroccan people are warm and the food is amazing. This mélange makes Marrakech stand out in its own unique way. All these things make Morocco as one of the best places to travel in April. The Bolivian town of Uyuni, the gateway to Salar de Uyuni, is one of the best places to visit in April, as the month of April ends the wet season, leaving Salar de Uyuni submerged after the rains. 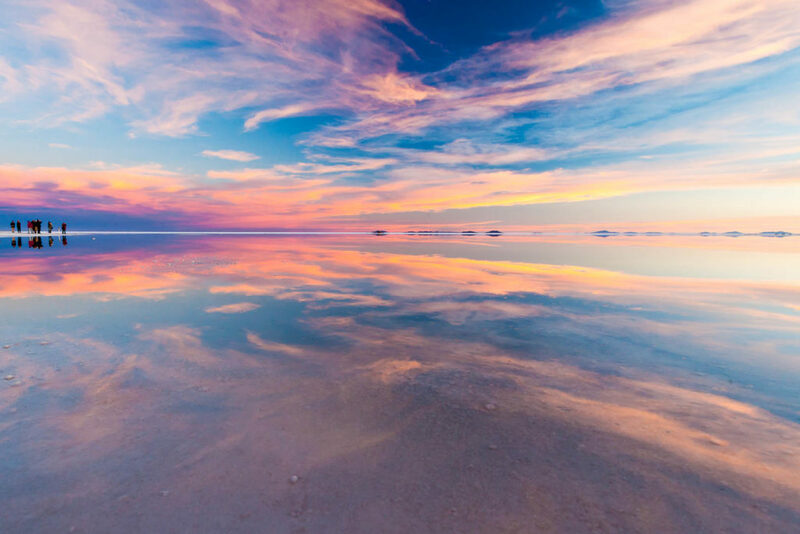 This, in turn, creates the illusion of a mirror, by turning the entire salt flat into the largest mirror by reflecting the sky and its striking surroundings. 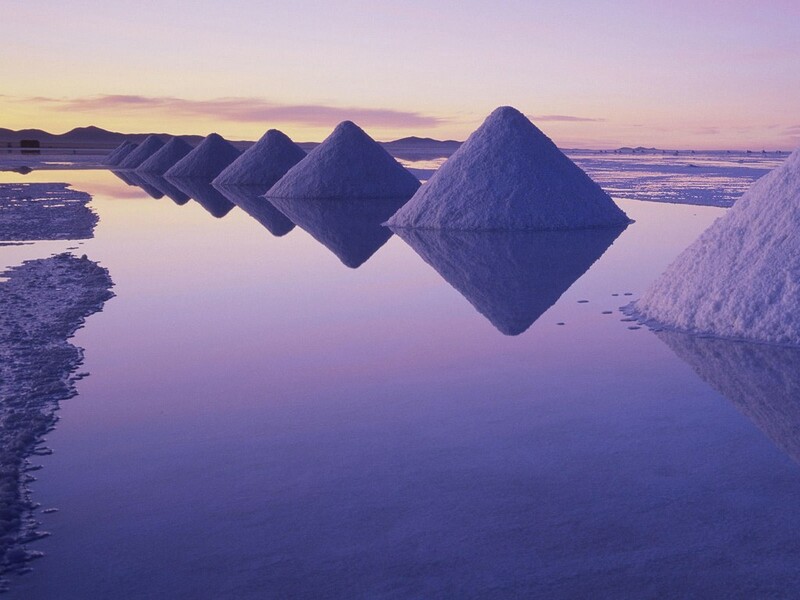 Deep inside Salar de Uyuni, dozens of miles away from the nearest town, the salt is pristine. 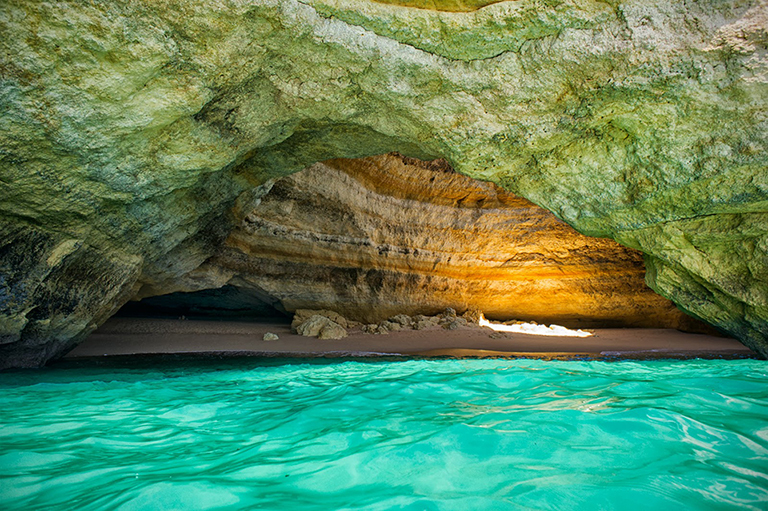 The natural hexagonal formations glisten under the desert sun that calls out to its visitors. The surreal landscape of South-west Bolivia continues to offer otherworldly landscapes, dizzying heights and friendly-faced locals all along the way. The dramatic view of the salt flats in Salar de Uyuni is rugged, handsome, and overwhelming. 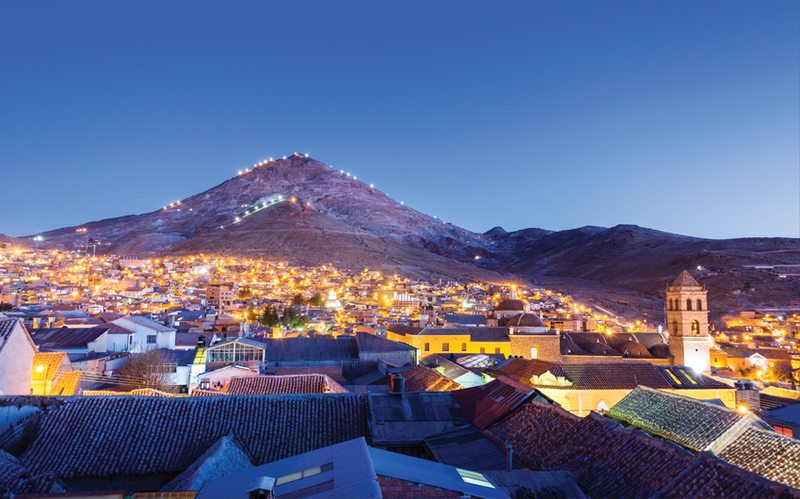 Apart from these, the main attractions Isla del Sol, Tiwanaku, Laguna Verde, Madidi National Park, The Witches’ Market, Gate of theSun, Pumapunku, Amboro National Park and many more, thus making it as one of the best places to travel in April. 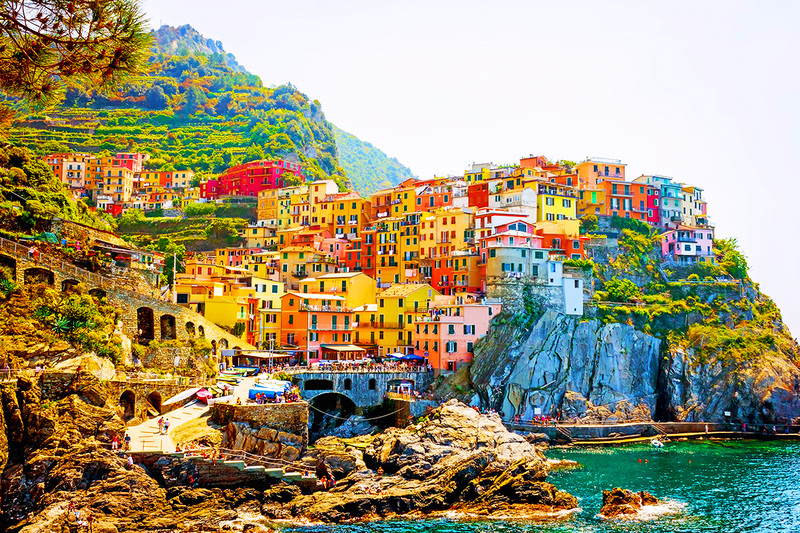 As one of the best places to travel in April, Italy is an exciting mishmash of food, art, history and natural beauty, that fuse to form a certain symphony. It is the place where one gets to tuck into a piece of la dolce vita! The month of April is a sunny and quiet time on this boot-shaped peninsula, and whilst the weather might not be beach-ready, it’s perfect for mooching around Italy’s many incredible cities. 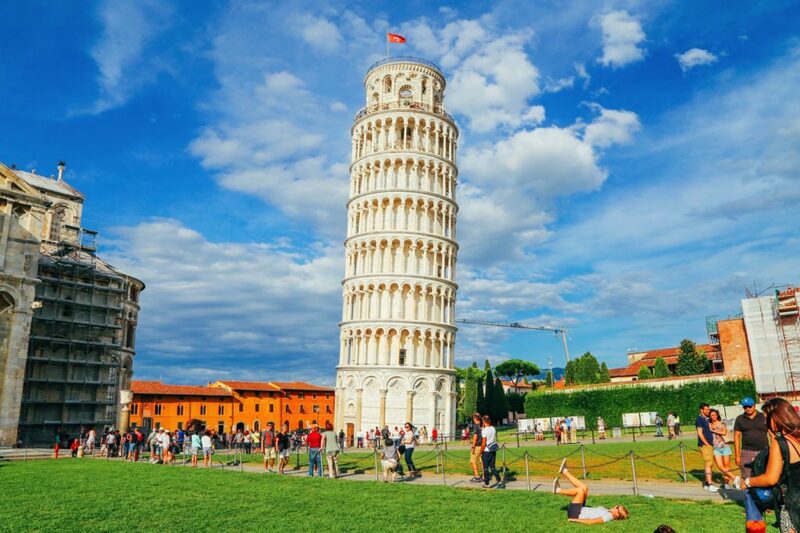 Visit Italy has a lot to offer. 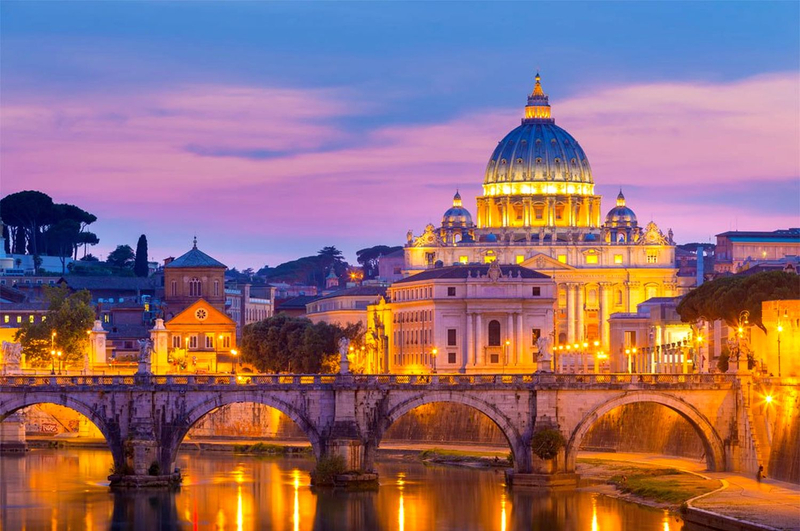 Italy offers so much to its visitors – from the journey to the birthplace of the Renaissance period in Florence, and finding Michaelangelo’s David at the Galleria dell’Accademia, to making the trip to Milan, one of the most important fashion capitals on the planet, home to designers like Dolce & Gabbana, Prada and Versace, unwinding on the canals of Venice, admiring the stunning architecture that juts out of its waters or just a tour of Rome’s world-renowned Colosseum as well as indulging in a compulsory slice of pizza (or seven), thus making it as one of the best places to travel in April. 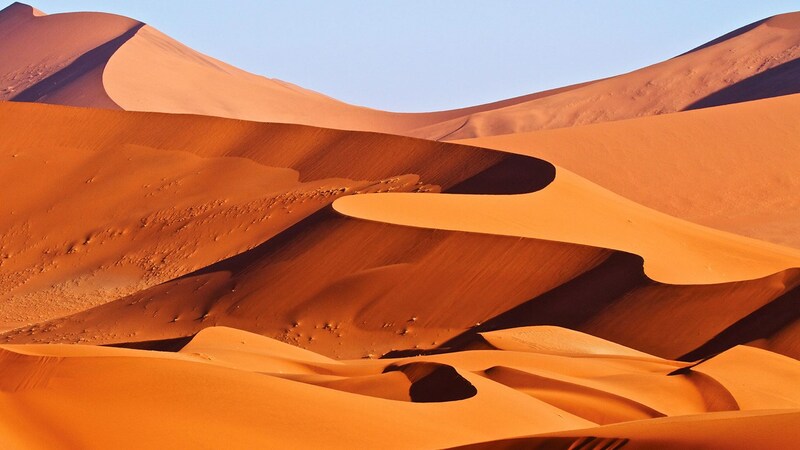 As one of the best places to travel in April, Namibia is a country that happens to offer up some of the best weather conditions during this month. 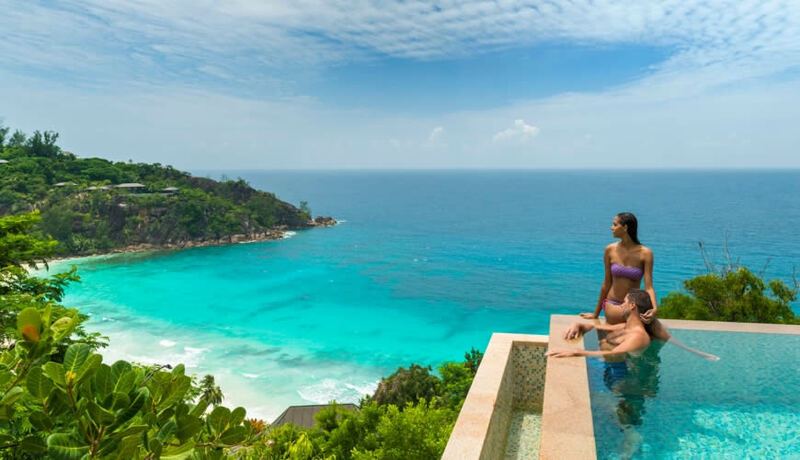 It is one of the best places to travel in April, as the weather remains warm with moderate temperatures and replete with abundant lush greenery. 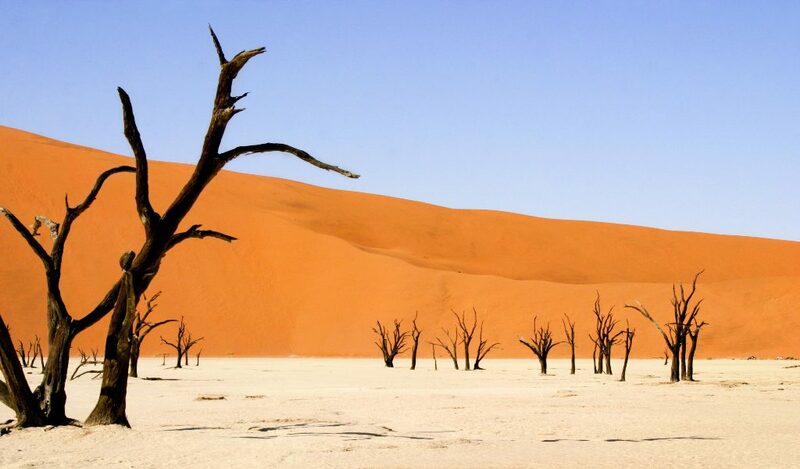 Visit Namibia has a lot to offer. Namibia offers so much to its visitors – from the perilous Skeleton Coast, vast Fish River Canyon, to its eerie Sossusvlei littered by fossilized trees, and so much more. 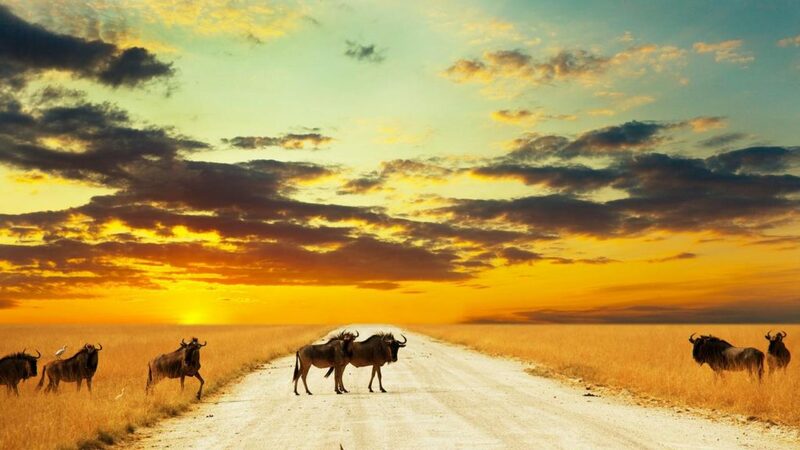 It is popularly known as the country of contrasts, for its amazing wildlife and landscapes of Etosha National Park and South Africa’s longest stream, the picturesque Orange River. The main attractions of the country are the essence of German colonial Africa in the towns of Swakopmund and Windhoek, Twyfelfontein, mesmerizing and famed for its many rock paintings and engravings, Sossusvlei, Fish River Canyon and so much more. 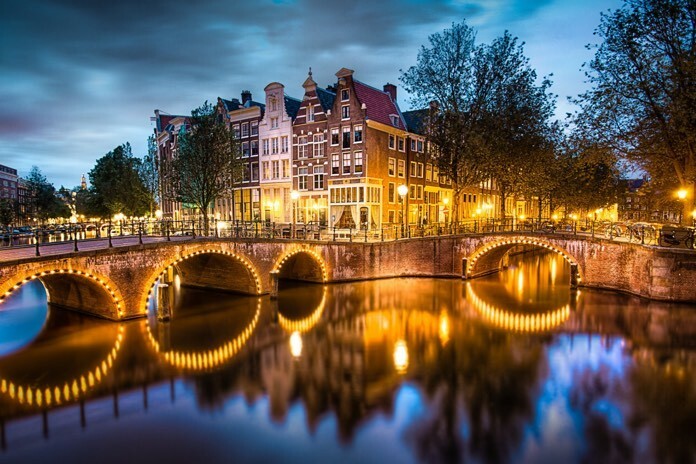 The country of Netherlands happens to offer some brilliant panoramas in the month of April. It is the time when most part of the country is filled with lush pictorial flower-filled meadows in full bloom. It is the season of tulips and the country gets all decked up with this flower. Visit Netherlands has a lot to offer. 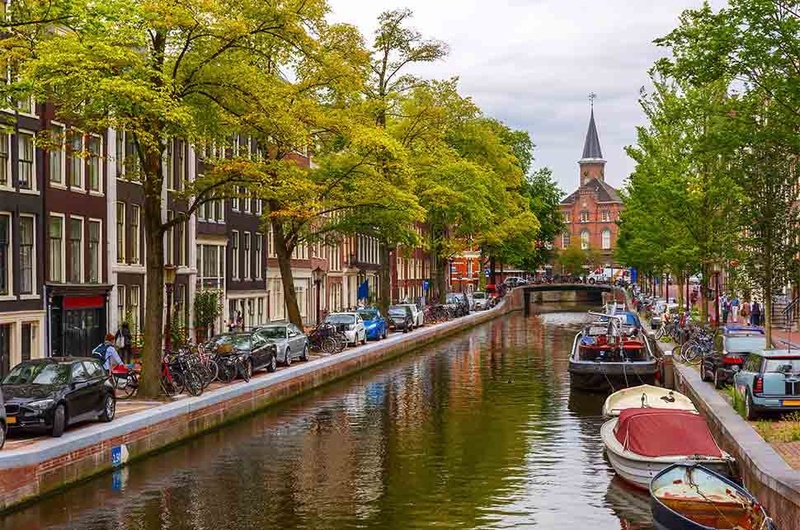 The Netherlands offers so much to its visitors – from the charming Dutch villages like Utrecht with its roots in Roman history, Haarlem with its little-town feel, The Hague with its interesting governmental connections, Amsterdam and Gouda with its famous cheese. 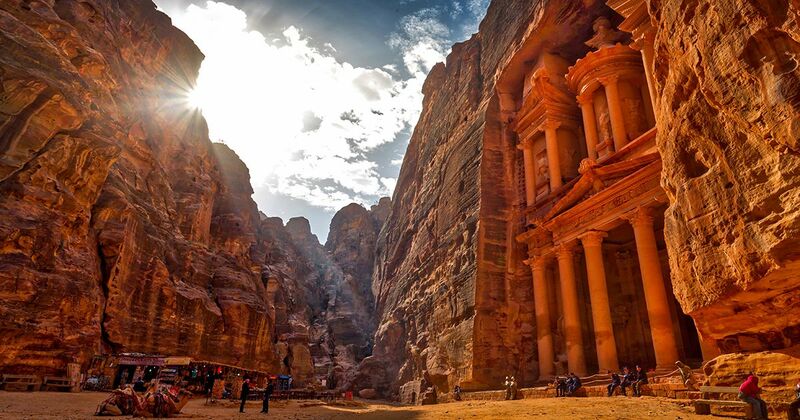 A modern capital filled with cosmopolitan cafes might not spring to mind when thinking of Jordan. It’s better known for its impressive world heritage sites and incredible desert scenery – but this middle eastern gem is full of surprises. April is warm (but not scorching) and the winter rains mean the forests are lush and the valleys are blanketed in brightly colored wildflowers, what better time to explore? Get under the skin of this amazing country, by working on the local knowledge during a trip to the citadel, the Jordan Museum and Roman Theatre in Amman. Journeying into the beautiful, protected desert wilderness of Wadi Rum. Being blown away by Petra, the awe-inspiring, ancient rock-cut capital of the Nabataeans. And, relaxing as you float on the salt-saturated waters of the Dead Sea. After a toasty beach break with ample sea swimming and sunbathing opportunities? Then admittedly April may not be the right travel time for you. But, if one loves the idea of almond blossoms filling the trees, spring air in the lungs and beating the crowds – one could be onto a winner! Plus, with temperatures in Lisbon reaching a pleasant 20°C, it’s an ideal time to discover why everybody raves about it. Have a mosey around Porto, the coastal city that’s home to the iconic Dom Luís I bridge, and often referred to as the country’s food capital. 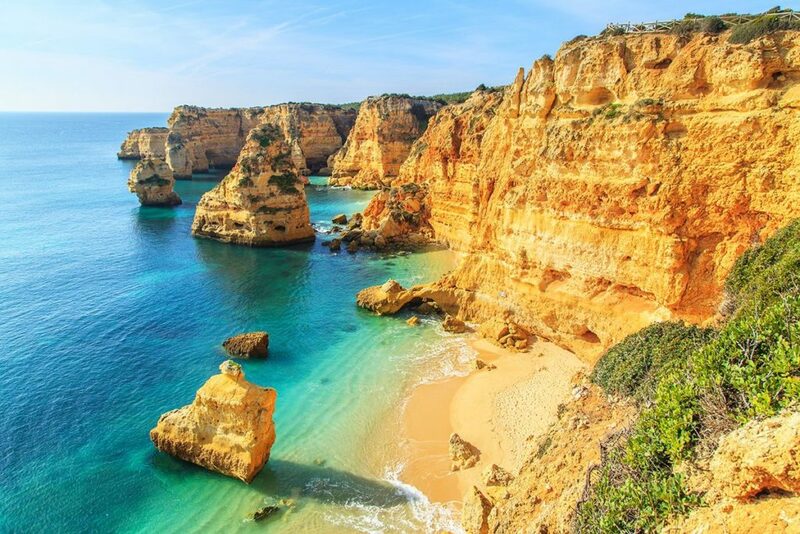 Before one heads down south to Lagos, with its walled old town, and nearby cliffs boasting stunning headland views.